Members of the Urban Cathedral Study Group are pictured from left to right: John Rouleau, Jenny Sisk, Lisa Schnell, the Very Rev. Jeanne Finan, Lee Williams, Paul Van de Graaf, and Josh Brown. [The Episcopal Church in Vermont] Amid the bustle of construction in the heart of downtown Burlington, Vermont, there is no denying that the city is changing. To some, the latest architectural developments are outward expressions of cultural shifts that have been remaking the local landscape for some time. With this in mind, members of the Cathedral Church of St. Paul have been exploring the best ways to serve the community as it navigates these shifting internal and external dynamics. The crux of this effort has been the Urban Cathedral Study, a research project that has for the past 12 months challenged cathedral members to reimagine the meaning of church and its viability for people who may or may not have any religious leanings. The next phase of the Urban Cathedral project, which begins in February, will empower the congregation to move from imagining to planning. As explained in the January 2018 Urban Cathedral Report, when the members of the Urban Cathedral Study Group began their work a year ago, they decided that planning the future of the cathedral would, in fact, be excluded from their scope. Instead, their aim was “to spend an entire year learning what it means to be an urban cathedral in Burlington by reading, listening and asking questions.” They wanted “to avoid any tendencies toward the prescriptive by remaining open and interrogative” in their approach. This positive sentiment has been echoed by Rabbi Amy Small of Burlington’s Ohavi Zedek Synagogue, as well as urbanites outside Burlington who have faced similar challenges and have recognized the wider implications of the Urban Cathedral Study as a best practice, including the Rev. Anne B. Bonnyman, rector of Trinity Church in Boston, Massachusetts, and the Rev. Scott Gunn, director of Forward Movement based in Cincinnati, Ohio. 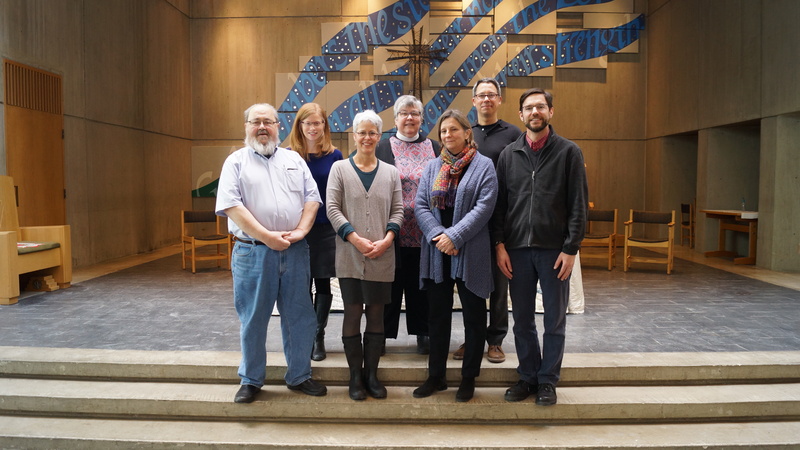 Several members of the Urban Cathedral Study Group presented a creative summary of their progress during the cathedral’s Jan. 21 Annual Meeting. In a series of stories titled Bold Imaginings, the presenters described future possibilities inspired by their yearlong practice of reading, listening and questioning. The Rt. Rev. Thomas C. Ely, bishop of the Episcopal Church in Vermont, said, “We are so fortunate that the Urban Cathedral Study Group has worked so faithfully to bring this report and their Bold Imaginings to us. The Episcopal Church in Vermont comprises 45 congregations across the Green Mountain State that share in the mission to pray the prayer of Christ, to learn the mind of Christ, and to do the deeds of Christ. The congregations live into this mission through ministries of Formation, Liberation, Communication, Connection, and Celebration. The Episcopal Church in Vermont is a member of the worldwide Anglican communion. Learn more at http://diovermont.org. — Maurice L. Harris is communications minister for The Episcopal Church in Vermont. This is a vitally important outreach for our Cathedral in Vermont. As many may know, Vermont is one of the least religiously affiliated states in the USA & most recently was listed as the very least affiliated. Burlington is Vermont’s largest city & St. Paul’s Cathedral is prominently & strategically located next to the downtown. Anything the Cathedral can do to increase its visibility & enhance its appeal to the largely secular ethos of Burlington will be a great contribution. Congratulations to Dean Finan & Diocesan Communications Director Maurice Harris on a fine story! My comment, published on this site on Feb. 6 has been removed. In it I described this article as lacking substance, as a committee seeking to define its role (so often typical of committee work in the church) hardly constitutes news. Is ENS now removing commentary, containing no offensive allegations or language, merely because it disagrees with the commentator?